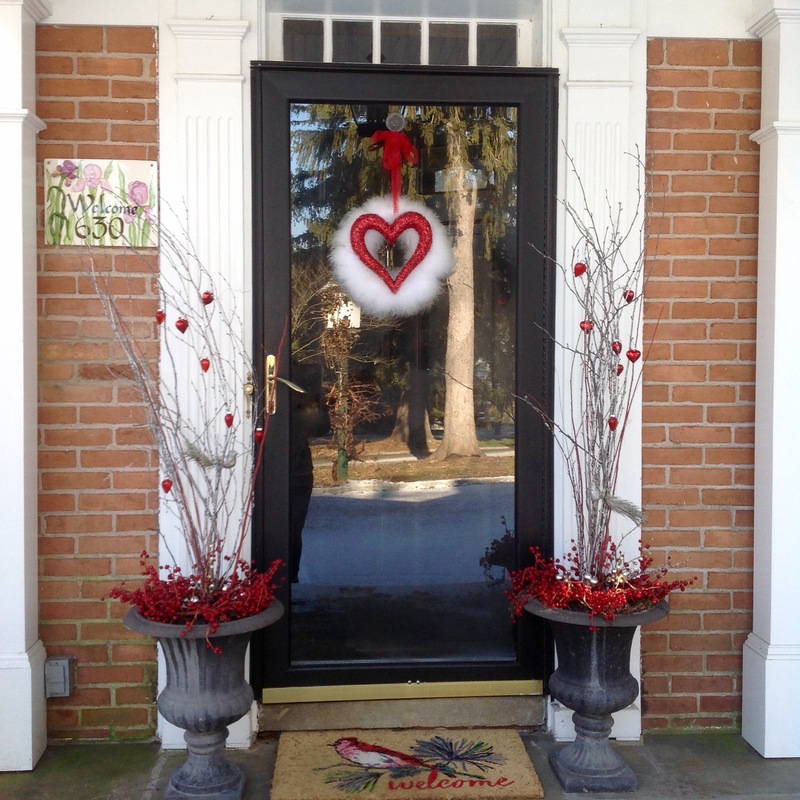 This little Valentine’s welcome at the front entrance comes straight from the heart. 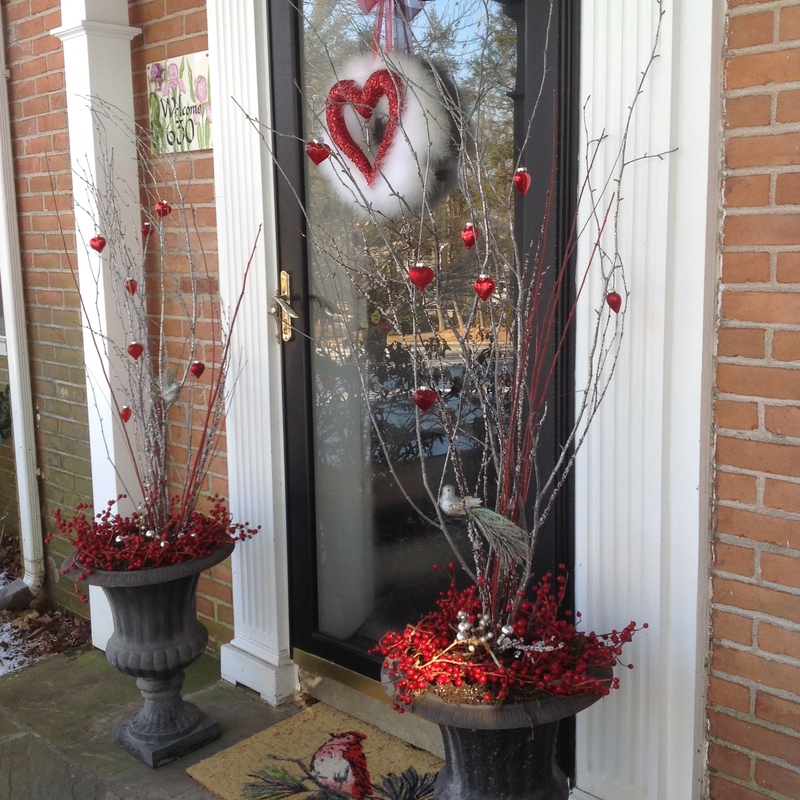 A heart wreath flanked by planters decorated with dangling red hearts is a charming and sweet welcome for February. This year I recycled my winter white wreath and repurposed it into a Valentine’s wreath. The winter wreath is comprised of a simple styrofoam form around which I wound a white feather boa(JoAnn’s) and secured each end with straight pins stuck right into the styrofoam. Takes about 2 minutes to make! The feather boa gives the illusion of fur which is why I love it for winter. Visit this post to see the step by step tutorial of how I made it. Wouldn’t it look fabulous in pink too? For a fuller wreath, you could wind 2 feather boas around your wreath form. 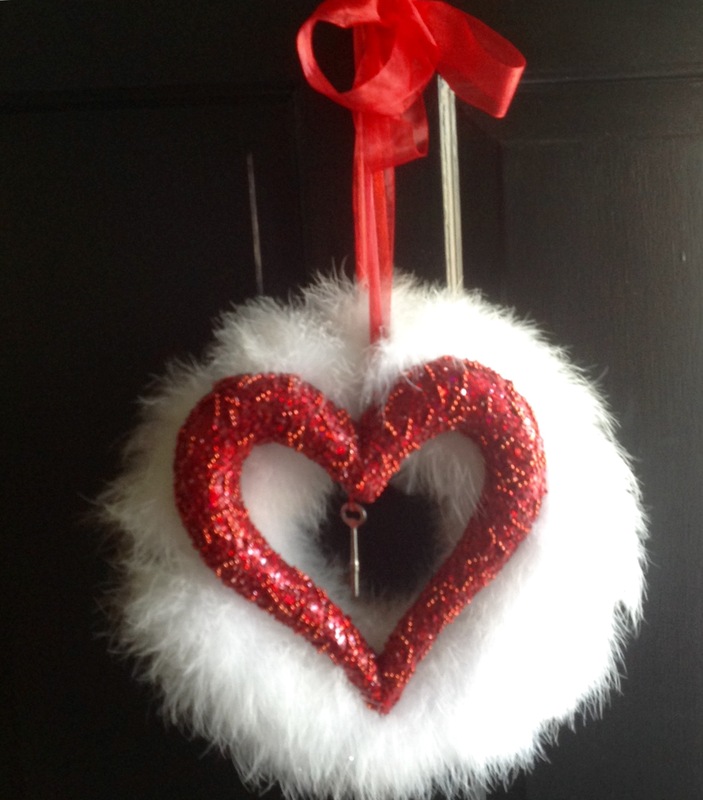 I layered a beaded heart with a hanging loop on the back(JoAnn’s) in the center of the wreath and suspended both with a red organza ribbon tied into a bow. 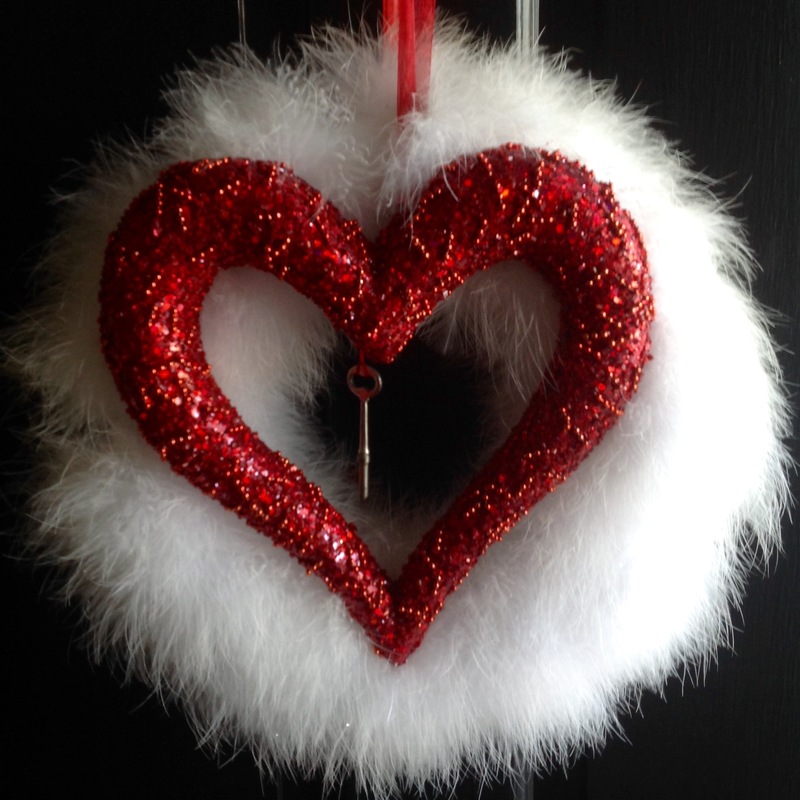 Through the back hoop of the beaded heart, I suspended an antique key on a red string. Flanking the door, black urns were topped with red berry wreaths. 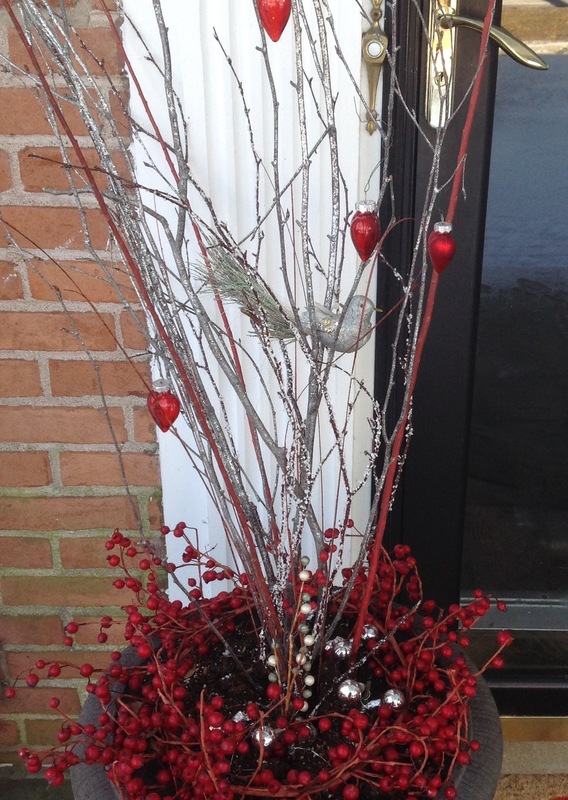 In the planters a combination of tall snow-flocked and silver branches(Michael’s) along with some red twig dogwood branches add some wintery interest. A pair of silvery birds nestle in the branches of each planter. If you are a hopeless romantic, you could consider these lovebirds. 😉 They tie in to a cardinal welcome rug. 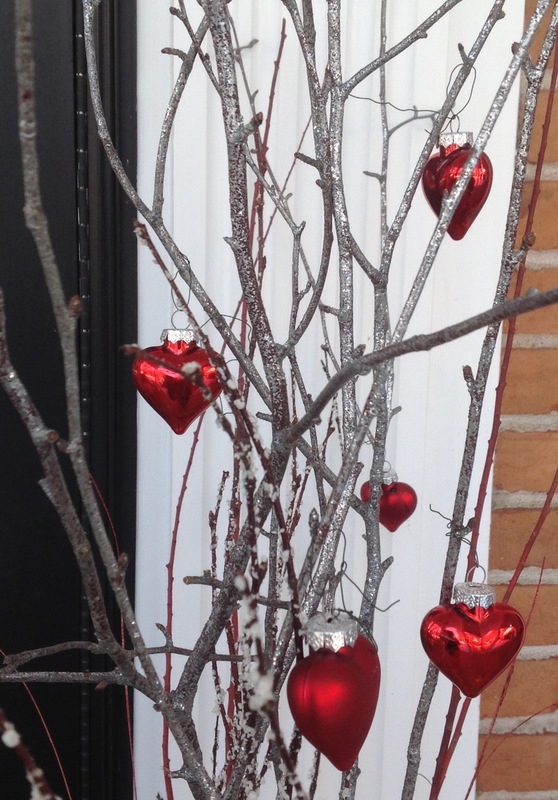 Small red glass hearts are hung on the branches with florist wire to complete the Valentine’s entrance. 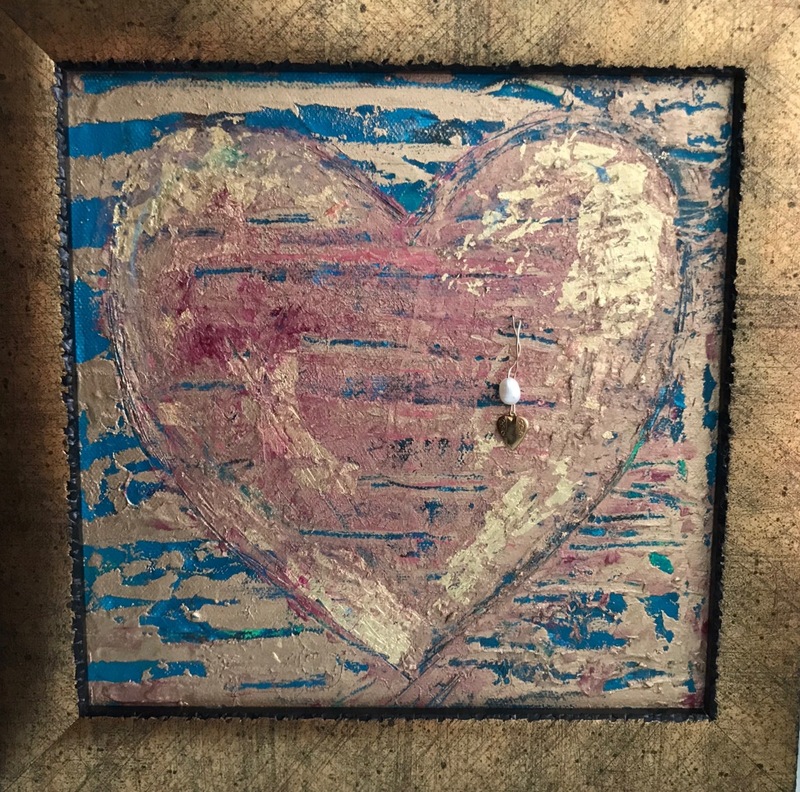 “Cherish”, 2019, oil/cold wax/gold leaf with a gold heart and pearl, that I painted for a special couple’s wedding. As we experience one of the coldest days in history, I hope this post has warmed your heart. This entry was posted in Crafts, Home Décor, valentines day and tagged heart wreath for valentine s day, heart wreath for valentines day, Valentine s day wreath, valentines entrance, valentines front door, valentines planter, valentines wreath by Johanne Lamarche. Bookmark the permalink.